To add External Links to your menu, start by navigating to: General Content > Menus. 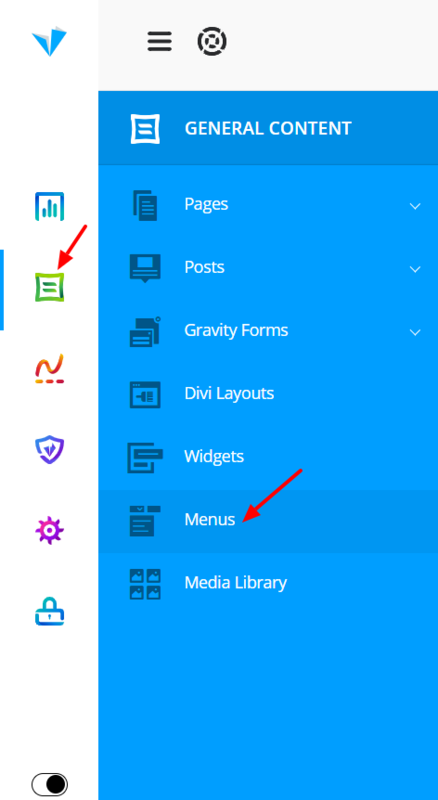 Your menu editor is drag & drop, and many options exist for adding links to pages, content or anywhere really. 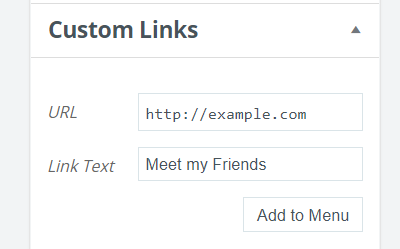 To add a custom url, open the "Custom Links" section of your menu editor. As you expand the "Custom Links" tab, and you will see an area to add the URL of your destination link, as well as a Label to name the link. Click on "Add to Menu" once you have entered these items. It will appear as a new link at the bottom of your menu list. Simply drag it to where you would like the item to appear!